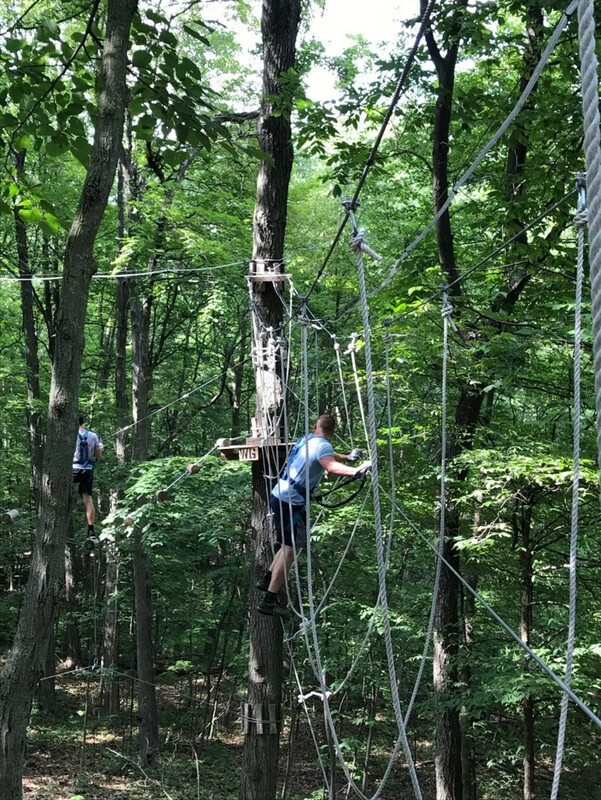 On July 19th, Shift Digital’s Website Assistant Team made a trip to The Adventure Park in West Bloomfield, MI to take the idea of “team-bonding” to literal new heights. 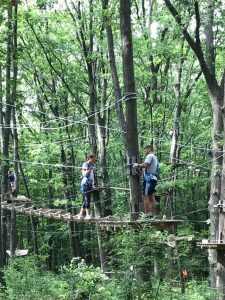 In the beaming heat of a 95 degree, Michigan summer afternoon, the Website Assistants joined together to conquer every treacherous obstacle from zip-line courses to moving platforms and shaky bridges. Adventure Park is the perfect place for new challenges and a fresh perspective. Located next to the Jewish Community Center of Metropolitan Detroit, the park is a popular attraction for all age groups. 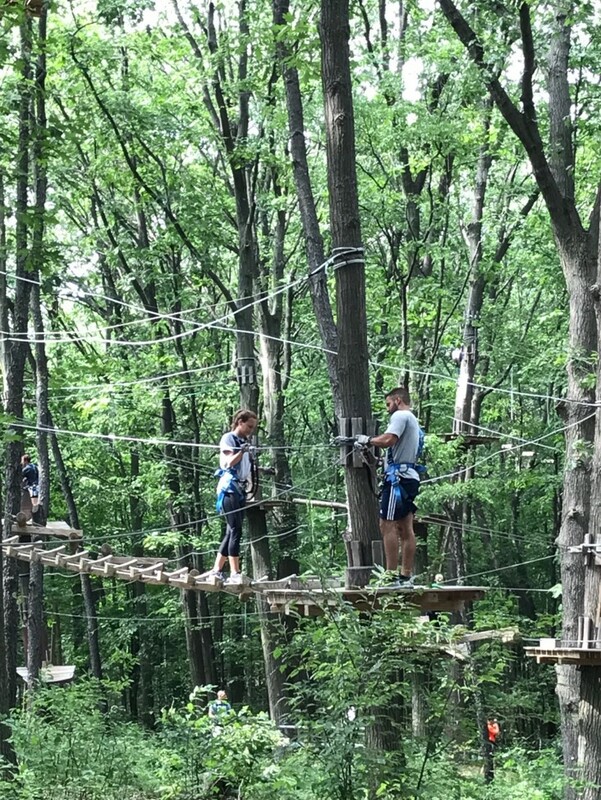 Each attendee is safely strapped to a harness and they are given a detailed tutorial by the park’s instructors before hitting the ropes. The Website Assistants definitely needed those instructions. After signing their lives away and entering a forest of mystery, the team strapped on their harnesses and prepared for action. The obstacle courses range from the novice yellow course to the highly advanced double black course (only a few daredevils made it that far on the trip). As the colors changed, so did the degree of difficulty (and sweat). It was not easy but the team still battled their way through the heat and guided each other through the confusion and clumsiness. A few people had a very inconvenient fear of heights, but it did not matter. The team was determined. One of the many privileges of working at Shift Digital is the opportunity to build relationships with co-workers and thrive in a unified environment. The employee’s daily tasks often call upon the efforts of a full group. With that in mind, it is crucial to have team chemistry in and out of the office. 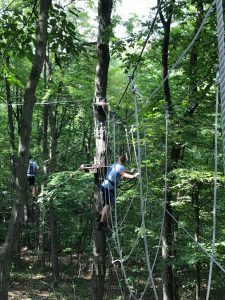 The Adventure Park was a fun way to help create this chemistry and reach new “levels” of accomplishment. Also, everybody got free Jet’s pizza when it was over.